Easy-Load Front-Loading kiln with Multi-Program Three-Zoned DynaTrol, hard ceramic element holders, separate attached stand, cool-firing separate side-mounted panel, multi-layered insulation (3" K23 firebrick with 2" back up mineral wool), full arch 4-1/2" thick firebrick roof made of harder K25 firebrick, side, back and door elements, door gasket, heavy gauge welded case that is powder-coated hammertone blue for corrosion resistance, manual vent system with roof plug and bottom inlet holes with sliding damper. MET-us listed in the USA. Cone 10 for all voltages. All the kilns except the EL3048 will go through a 34-1/2” wide by 75” high door. The EL3048 needs a minimum door size of 40-1/2” wide by 76” high. All Easy-Load and Hercules kilns can be moved with a pallet-jack from any side. Crated with interior support and air-cushion skids. Shipping by air-ride truck. Moving and installation: The EL2436 will go through a standard 34-1/2” door that is at least 76” high. The EL2448 and EL2848 will go through a door that is 34-1/2” wide by 86” high. The EL3048 will go through a door that is 40-1/2” wide by 86” high. 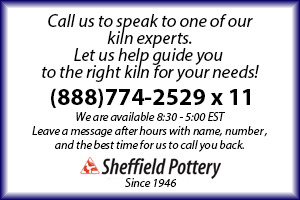 The kiln must be moved on a flat surface. The case is designed to be picked up by a forklift or pallet jack from the front, back or sides.